TLT hosted a two week Futsol Tournament for both boys and girls 10 and under and 13 and under on their main campus in Clifton. The event was a resounding success in terms of the number of teams who participated and the host school clearly established itself as one of the stronger teams in the city with a marvellous showing by bringing home three championship trophies and one runner up trophy. The event got off to a fine start with the 10 and under girls tournament. TLT Red went undefeated with a record of 4 wins and 0 losses to claim the trophy. Haque Academy and Bayview Clifton finished second and third respectively. 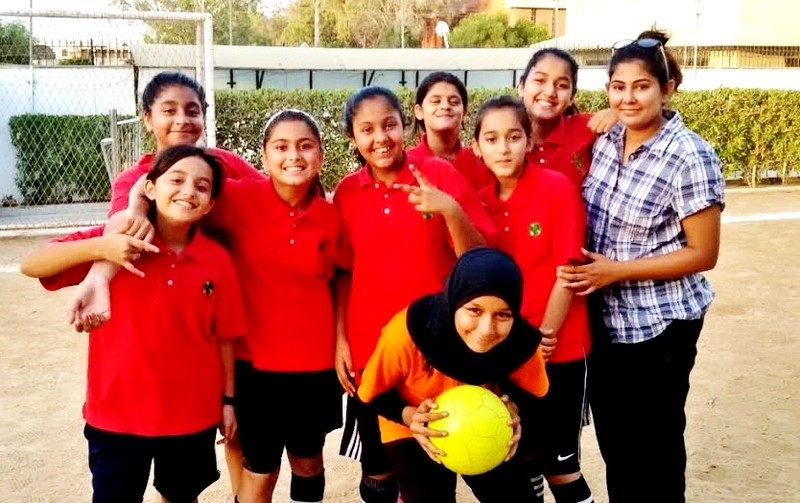 The home team played extremely well and individual awards were bestowed on Maham Omer as the top goalkeeper and Ayesha Jawad earned the Golden Boot Award tallying six goals. Bayview’s Eschal Waqas received the best player of the tournament award. Not to be outdone, the 10 and under TLT Red team also finished on top with a record of three wins and one loss. They won the championship based on a tie-breaker for most goals for with a total of twelve. Haque Academy finished second and Bayview PECHS finished third. Bayview’s Muhammad Ammaar was awarded the best player of the tournament; Mustafa Khan of Haque Academy was the top goalkeeper and our own Hassan Haji received the Golden Boot Award for scoring 5 goals. The real excitement came when our Under 13 girls took the field and showed their competitors why they will be a force to be reckoned with for years to come. The Red team came out of the gates sluggishly but improved each game to finish on top of the standings with a record of 4wins and 0 losses. They were followed by Bayview Defense and Haque Academy who took 2nd and 3rd place respectively. Haque’s Alisha Sajjad was voted best goalkeeper while our own Ameera Haq received the Golden Boot Award with four goals and Rabia Jawad received Best Player Award. The most compelling competition took place in the Boys 13 and under division. All seven teams were extremely talented and well coached and every game was a close match. TLT Red had to get by a very tough Nasra squad in the semi finals to get into the finals. This set up an interesting final between TLT and Bayview Academy Defense Campus. An early first half goal from Bayview gave the visitors the lead. However, TLT mounted attack after attack and dominated the second half and despite several chances, could not score the equalizer and had to settle for second place. Despite tears of disappointment, the team played extremely well and truly put in a great effort. 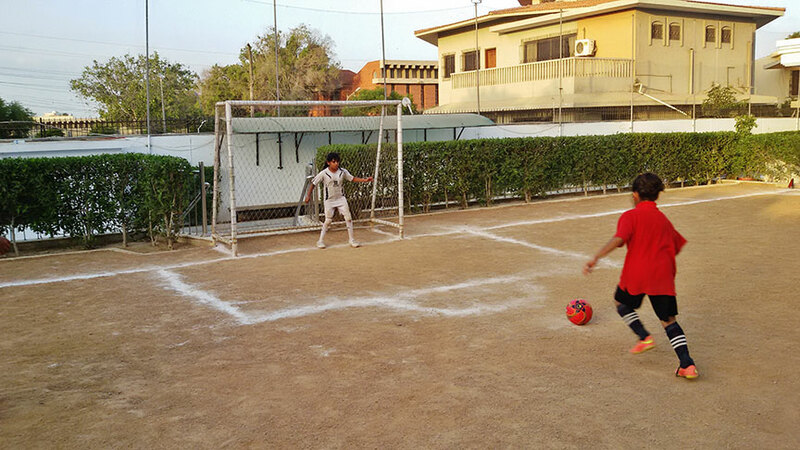 Zain Ranjani was awarded with the tournament’s outstanding player while Nasra’s Umer Khan took the Golden Boot Award for most goals with a total of seven. 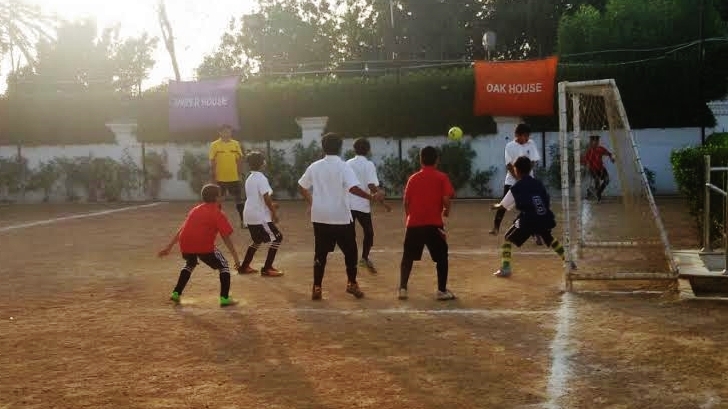 The 13 and under outstanding goalie went to Bayview’s Armaan Khurram but that should not take away from the amazing goalkeeping skills of our very own Shafay Lakahani who made several spectacular saves to hold Bayview to only one goal. The closing ceremonies was indeed a splendid affair with all teams and coaches in attendance to receive their awards from Head of School, Naila Jamall. Parents and supporters of TLT gathered to watch the exciting final game and the tournament was a great success thanks to the hard work of our two splendid coaches Sir Timothy and Ms. Rukhsar who put in countless hours before and during the course of the tournament to ensure that all went smoothly. The efficient and well organized tournament was especially appreciated by our visiting teams, coaches and parents who commented positively about the quality of the tournament in terms of the sportsmanship, skill, facility and competition. All in all, TLT should be proud of its efforts and its our hope to host the Futsol tournament for years to come. Check out the complete madness on our Flickr page! You can also download the Flickr app and stay up-to-date with TLT's latest events and more!